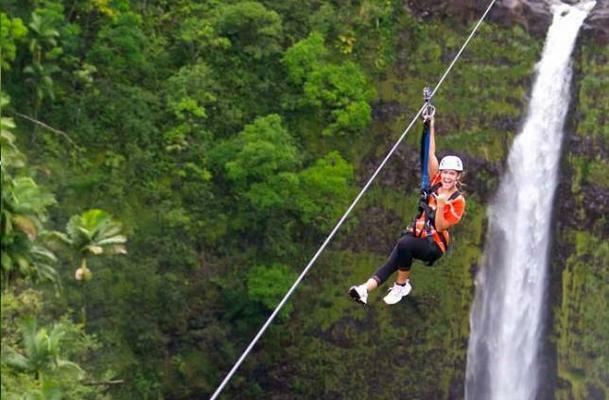 The Skyline Akaka Falls Tour traverses areas of tropical farmland, waterfalls, and deep ravines with each zipline progressively building on the prior until the ultimate breath-taker that is the longest zipline in the state. 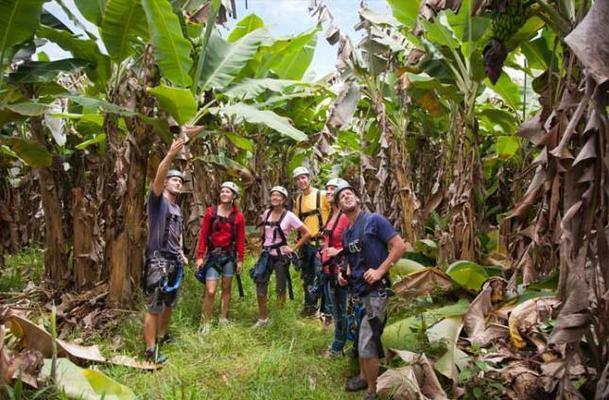 The lush scenery, dramatic ocean views, and world-class guides will make this 2.5-hour tour one to remember for a lifetime. 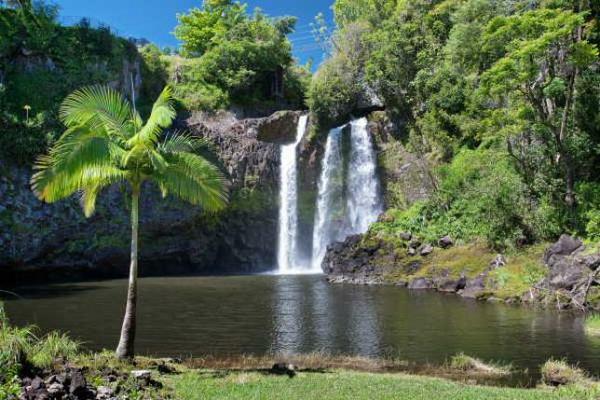 Be sure to check out the local shops and restaurants surrounding the check-in location of historic Honomu before or after your Big Island Waterfall Zipline tour! 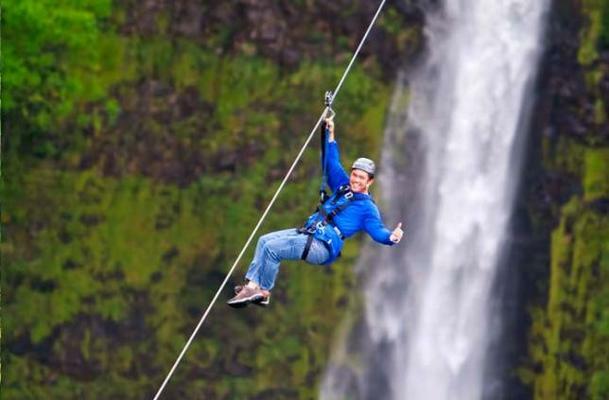 New for summer 2015 – Skyline Akaka Falls Zip n’ Dip Tour. 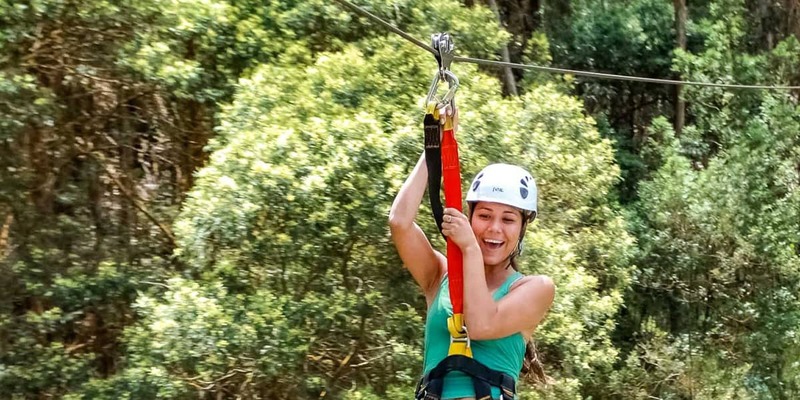 Experience the thrill of our 7-line Zipline tour followed by a dip and relaxation at Skyline’s private waterfall location. 10 years or older. All customers under 18 must have a legal guardian sign for them. Have not had recent surgery especially on ankles, knees or back. Ready to have tons of FUN! 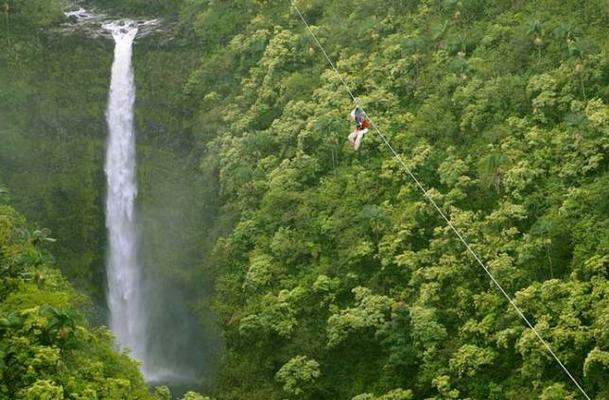 Ziplining isn’t strenuous, but you need to be able to hike about 1/2 mile and climb steps. We have had people from 10 to 90 do the course without problems. 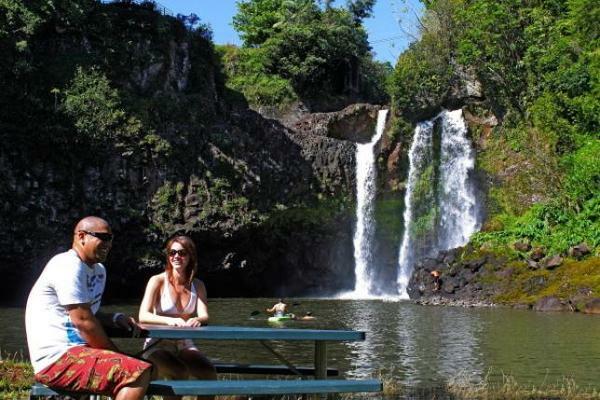 The Skyline Akaka Falls Tour offers an exclusive chance to experience flying over the 250 foot KoleKole waterfall. 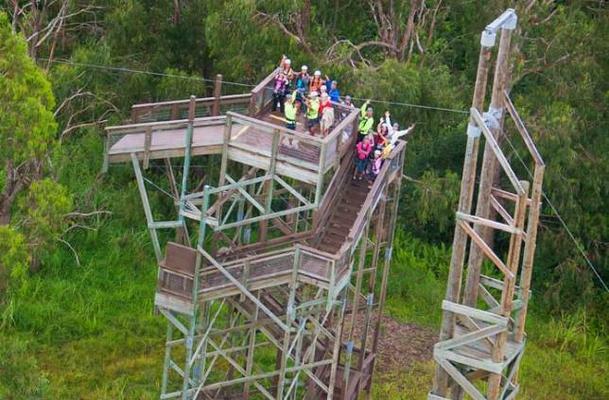 Located just downstream from world famous Akaka Falls, the Akaka Falls Skyline tour offers a 7 line course that accommodates ages 10 and up. 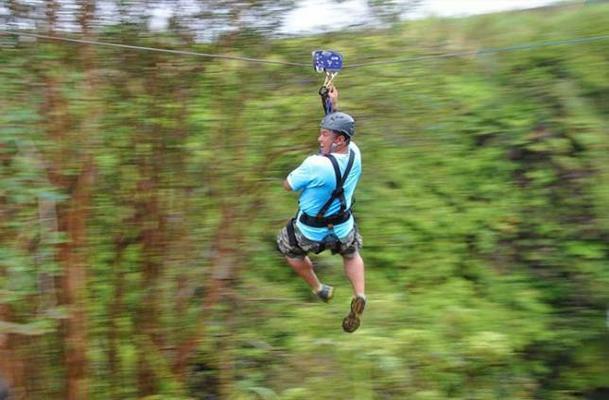 Ziplining isn’t strenuous, but you need to be able to hike about 1/2 mile and climb steps. 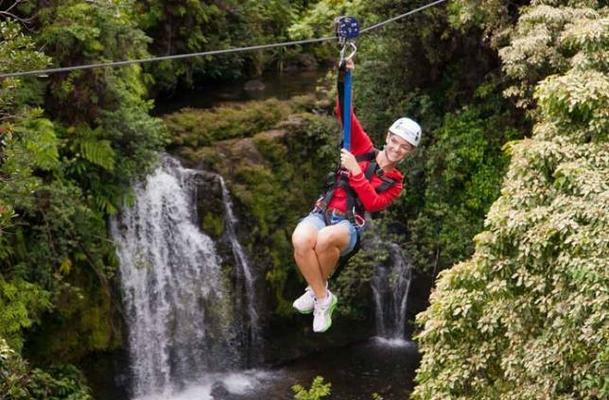 We have had people from age 10 to 100 do the course without problems. For your safety, we require that you wear shoes with a fully enclosed heel and toe. Tennis/athletic shoes or hiking type shoes are best. 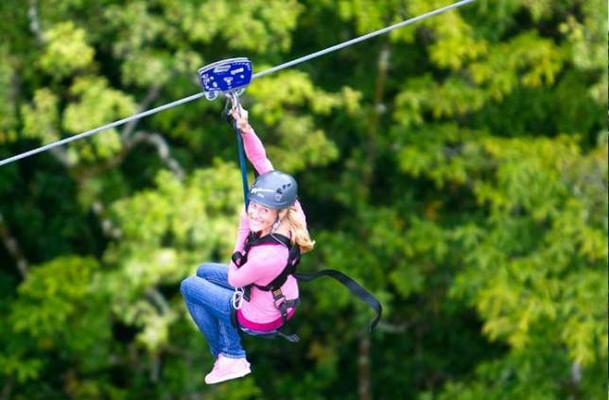 No hiking sandals, Teva Sandals, KEEN’s, Crocs, TOMS, Vibram FiveFingers or Skechers Shape Ups are allowed on the course. Shoes must be snug to your foot. No loose-fitting or un-laced Converse-style shoes are allowed.